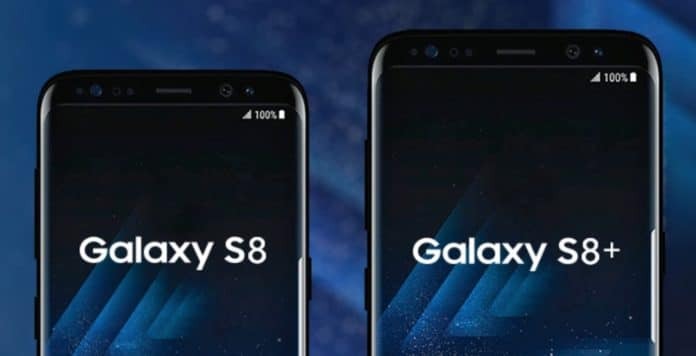 Samsung Galaxy S8 and S8+ launched in India. The South Korean Company organized launch event in Delhi to unveil these Samsung flagship devices. The company has sent media invites for Samsung Galaxy S8 and S8+ launch event a couple of days ago. Pre-bookings for Samsung Galaxy S8 are out now in the e-commerce sites after the launch. Samsung has unveiled the Galaxy S8 and S8+ in New York in the earlier month. Both the devices to packs same specifications but screen sizes vary. Samsung Galaxy S8 features 5.8-inch QuadHD display with 2960 x 1440 pixels resolution at a density of 570 ppi. It is powered by 10-nm Exynos 8895 octa-core processor coupled with 4GB of RAM. Galaxy S8 boasts 64GB inbuilt storage and comes with a microSD card support up to 256GB. The device measures 148.9 x 68.1 x 8.0 mm and weighs around 158 grams. The smartphone has a hybrid SIM slot and runs on Android Nougat with TouchWiz OS. On camera font, Galaxy S8 packs a 12 MP dual pixel camera with LED Flash and 8MP front facing camera. It does pack all latest connectivity options and comes with IP68 water resistance. The device will be backed by a 3,000 mAh battery, and there is no info about fast charging option. Samsung Galaxy S8+ features 6.2-inch QuadHD display with 2960 x 1440 pixels resolution at a density of 529 ppi. It is powered by 10-nm Exynos 8895 octa-core processor paired with 4GB of RAM. Galaxy S8+ flaunts 64GB inbuilt storage and can be further expanded up to 256GB with microSD card support. The device measures 159.5 x 73.4 x 8.1 mm and weighs around 173 grams. The smartphone has a hybrid SIM slot and runs on Android Nougat with TouchWiz OS. Galaxy S8+ gets a 12 MP dual pixel camera with LED Flash and 8MP front facing camera. The latest flagship from Samsung packs all latest connectivity options and comes with IP68 water resistance. The device will be backed by a 3,500 mAh battery. Samsung Galaxy S8 price in India is Rs.57,900 and on the other hand, Galaxy S8+priced at Rs.69,000.